Hello on this rainy day. This week take 15% Off Novelty Fabrics until Saturday, November 10, 2018. 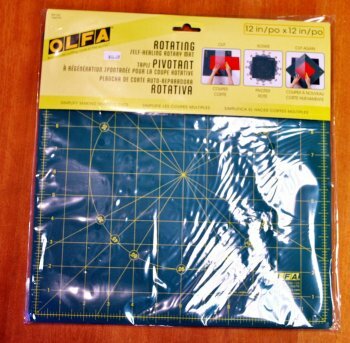 There is a minimum 1 yard cut on Sale Fabrics. We've had a few new items arrive in the Shop this past week. 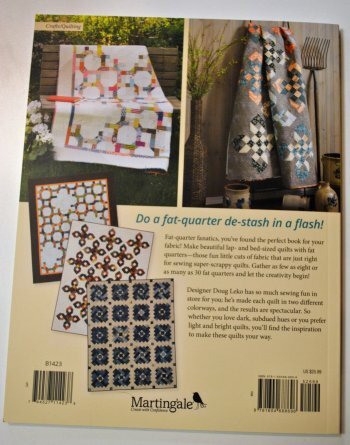 Some of you that had gone to the EMQG Quilt Show in September may have admired some quilt kits that a vendor had available. Mom had several people ask about just getting the patterns because they wanted to pick their own fabrics. Well, Mom found the pattern book. It includes the quilts on display and some other quilt patterns as well. 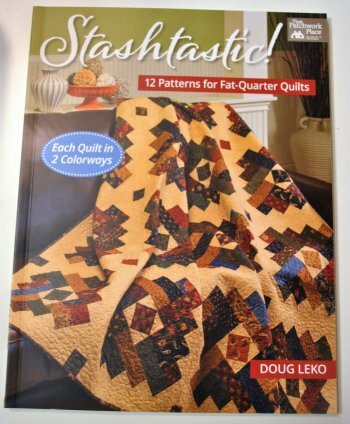 For our quilters who just don't care for quilt kits, we have the book available in the Shop. 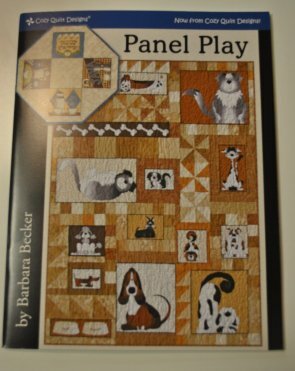 By popular demand, we have also brought back in the Panel Play pattern book. 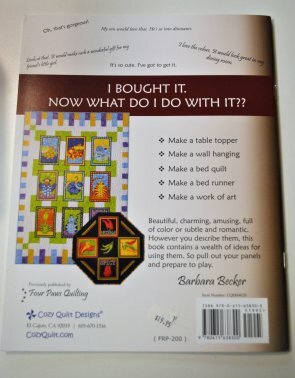 This book is chuck full of great ideas making everything from table toppers to quilts using panels. How about making cutting your blocks easier? 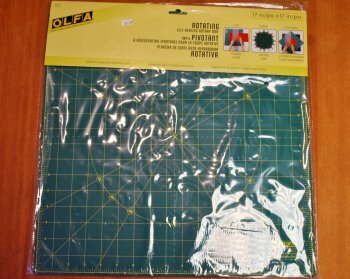 These two rotary cutting mats make cutting your blocks easier without having to play "Ring around the Rosie". They come in two sizes. 17" x 17" and 12" x 12". I hate to say it, but Christmas is coming and wouldn't you love to find one of these under the tree for you? It's time to make that list for your loved ones. That's the news for this week. I hope everyone stays dry or if you're suffering from cabin fever, stop in and Moda and I will be more than happy to let you gives us lots off ear scratches and belly rubs.